It’s Groundhog Day, which means we find out whether we’ll be living in a tundra for 6 more weeks, or we’ll be seeing happier and sunnier times. While there are many top groundhogs to watch for accuracy, Punxsutawney Phil of Pennsylvania apparently saw his shadow so he predicts 6 more weeks of winter– wait, really? Isn’t it snowing like no other right now while we trudge to classes? But weather aside, the real deal on Groundhog Day is the scandal Staten Island Chuck of New York and New York City mayors have been involved in. Throwin’ it back to Groundhog Day 2009: former New York City Mayor Michael R. Bloomberg used a cob of corn to lure the beloved Staten Island Chuck out of his wooden home, when Chuck apparently bit his hand, piercing through the then mayor’s leather gloves. Someone was annoyed. Except the story goes on. 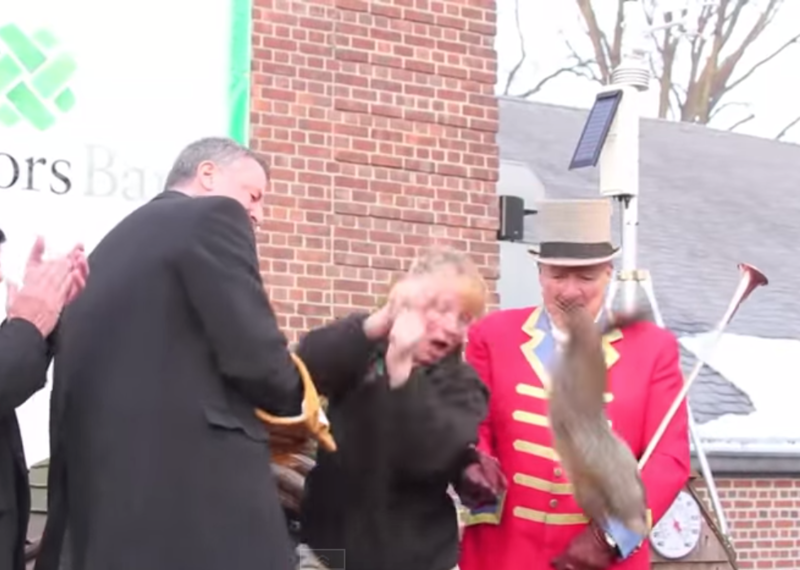 While everyone was mourning the death of Staten Island Chuck, it was actually revealed that the dead groundhog was in fact Charlotte, a female counterpart that replaced Chuck after fears that he would repeat Groundhog Day 2009 and bite Mayor de Blasio. Literally what is going on?! So this year, to make Groundhog Day a little bit friendlier and safer between Mayor de Blasio and the real Chuck, Chuck stayed in a roomy glass enclosure, raised into it by an elevator called the “Chuck-a-vator.” He did not in fact end up seeing his shadow, so Mayor de Blasio announced that spring is coming (#blessed). “I think we finally understand each other,” the mayor said to Chuck this year.